Bloomberg (London) unveiled its fifth series of Waste Not Want It in July 2016 with a collection of new, original works by acclaimed designers Astrid Krogh, Laetitia de Allegri and Matteo Fogale, Kim Those, Lara Behind, Soft Baroque, Stuart Haygarth and Tom Price, formed almost entirely out of Bloomberg's waste. The project provides a platform for some of Europe's most dynamic designers and explores innovative ideas about recycling, sustainability and functional design. 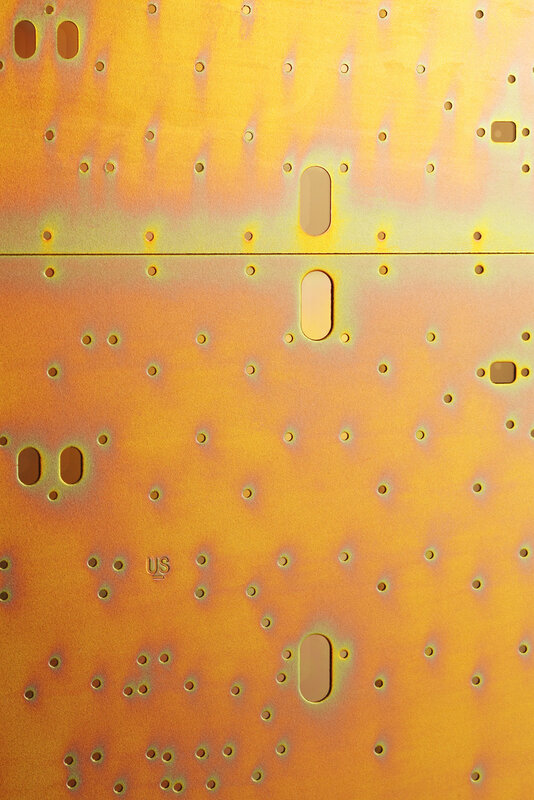 The works evolve in dialogue with Bloomberg employees and often reference the functionality of the hardware and software that powers Bloomberg's financial data, news and analytics systems. 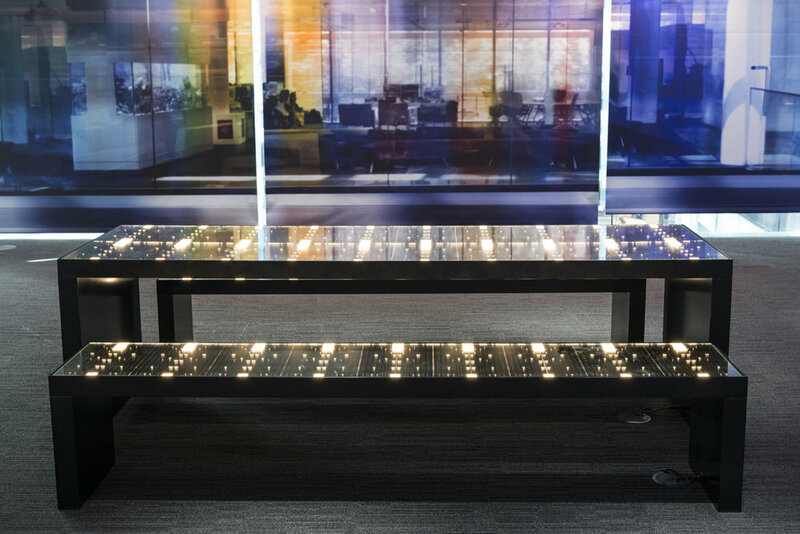 The installations include lighting, decorative wall panels, seating and meeting areas for daily use by the firm's nearly 4000 employees in London. 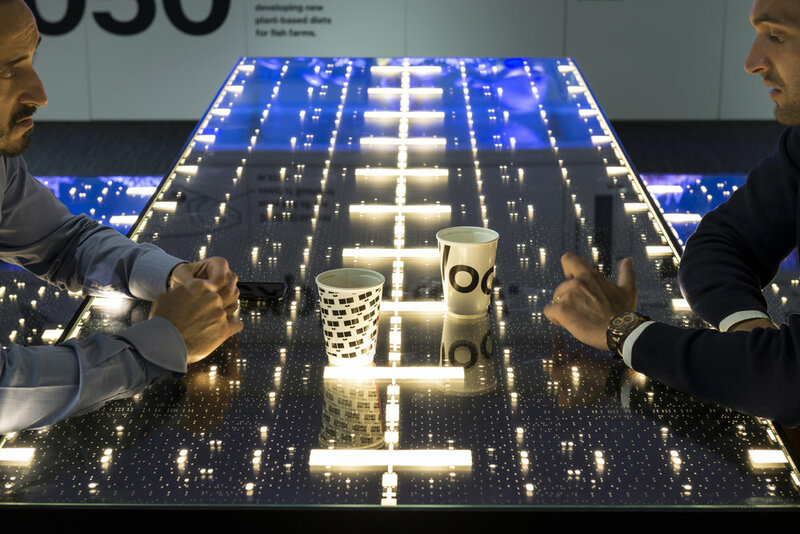 Recycled materials utilised by designers included 2000m of cable flex, 76 keyboard panels, 160 holographic screen sheets, 250 printer cartridges and 33 wooden pallets. 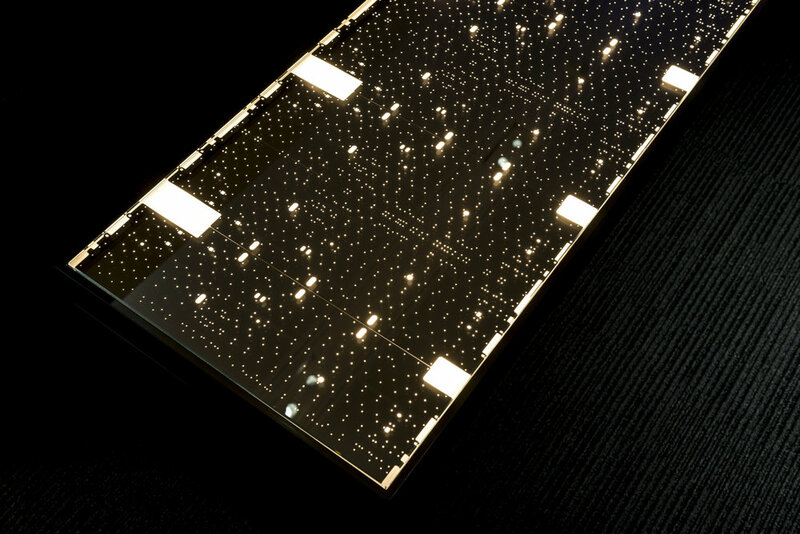 Inspired by space, science fiction and the monolith featured in Stanley Kubrick's 2001 Space Odyssey Starboard is a minimalist meeting table and benches created from 76 perforated metal keyboard panels which have been black passivated. 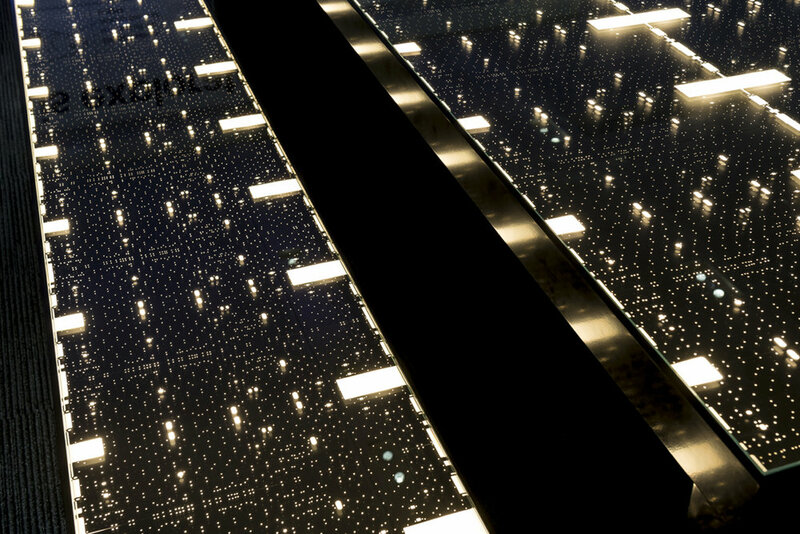 The panels are illuminated from underneath so that the precisely engineered holes transform into a galaxy of stars and planets. Two prototype poseur tables to be used in the informal meeting areas for social events held in the Bloomberg building were also created from the keyboard panels. 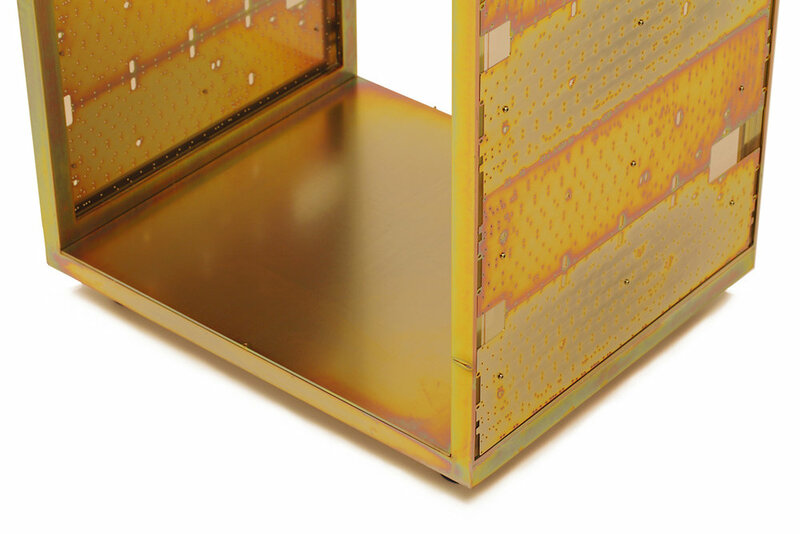 In this case the metal panels were yellow passivated, a metal coating process widely used to protect metal components from weathering. Material – Powder coated aluminium, Opt-white toughened glass, 76 black passivated computer panels and LED ribbons.